PTme, the winners of the inaugural Hackathon, pose with their grand prize. The team developed technology that would aid physical therapy patients and their physical therapists through the use of an iWatch. Student innovators recently came together with health care professionals, developers, designers and engineers for the Elson S. Floyd College of Medicine’s inaugural hackathon. The students came from the College of Medicine, the College of Pharmacy, WSU’s Pullman campus, Eastern Washington University, Whitworth University and Gonzaga University. There was also a local high school student participating. The weekend began with a presentation of various rural health challenges, as well as presentations on app development, security implications of medical data and what it takes to be successful in the health care business sector. After the presentations and a brief “Hacking 101” lesson, the participants went through a problem pitching exercise, where they each had 60 seconds to convey a problem they wanted to solve. Then, it was time to create teams and start coming up with business solutions to rural health care challenges. Teams met with four mentors and two judges throughout the weekend to refine their solutions and perfect their final presentations. By Sunday, teams were ready to make their final presentations. Each team had just three minutes to present their solutions and two minutes of questions from the judges. One solution involved developing a cooking class and community dining events designated for those in low income areas. These classes and events—designed as a nonprofit—would address food scarcity in rural and underserved communities. Another solution included a gig economy service to connect health professionals in rural communities with understaffed facilities. For instance, a nurse at a rural hospital could also work temporarily for another facility that is understaffed. The solution would help improve service and cut costs, among other things. The winning team, calling itself PTme, developed a technology that would allow patients to wear an iWatch to track their physical therapy exercises at home. The patients would then electronically send that data to their physical therapist. PTme said the technology would help patients stick to their physical therapy demands and achieve their desired results. PTme took home the hackathon trophy, which will live at the College of Medicine’s technology incubator. It will include the names of the winning teams each year. 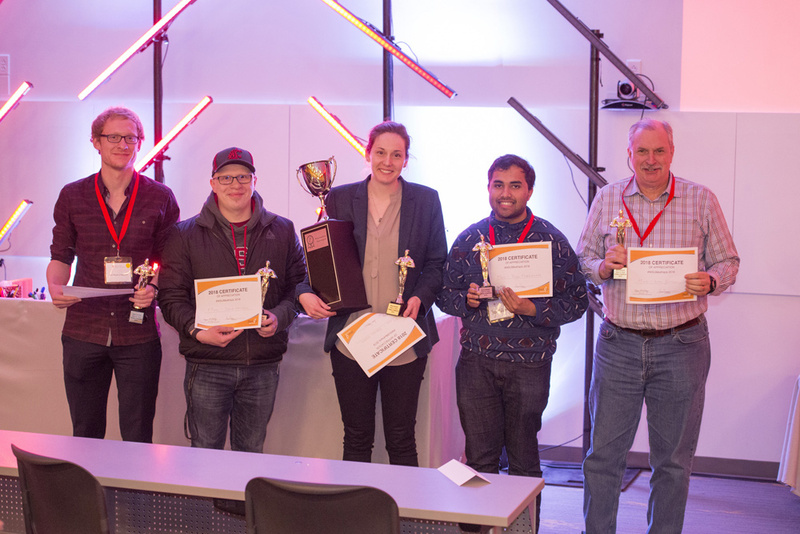 PTme also took home $1,000, a three-month membership to Startup Spokane, and access to the Mind 2 Market Program, a Startup Spokane initiative that helps commercialize viable business ideas.